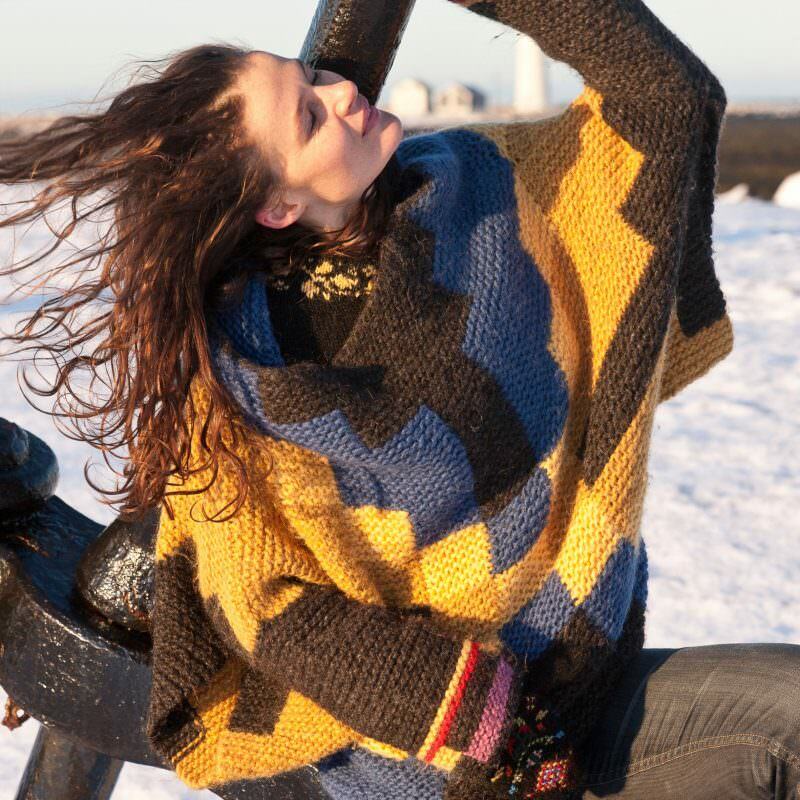 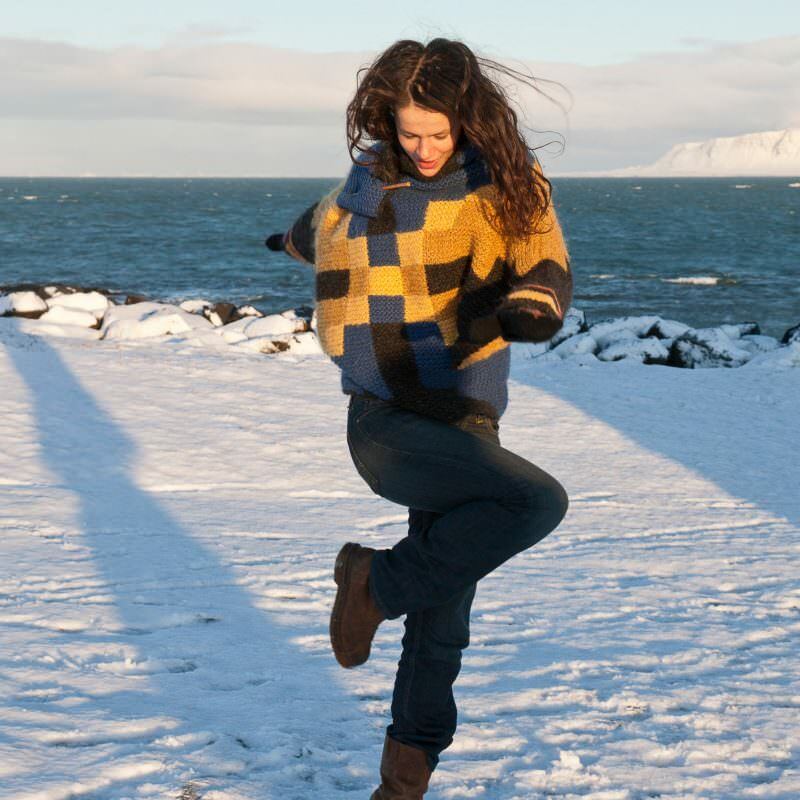 Lopalopi is a different chunky sweater with the shape of an oversized rose with arms, inspired by the motif on a pair of old Icelandic shoe-inserts. Big and cosy but nevertheless light, it will keep you very warm against the elements. 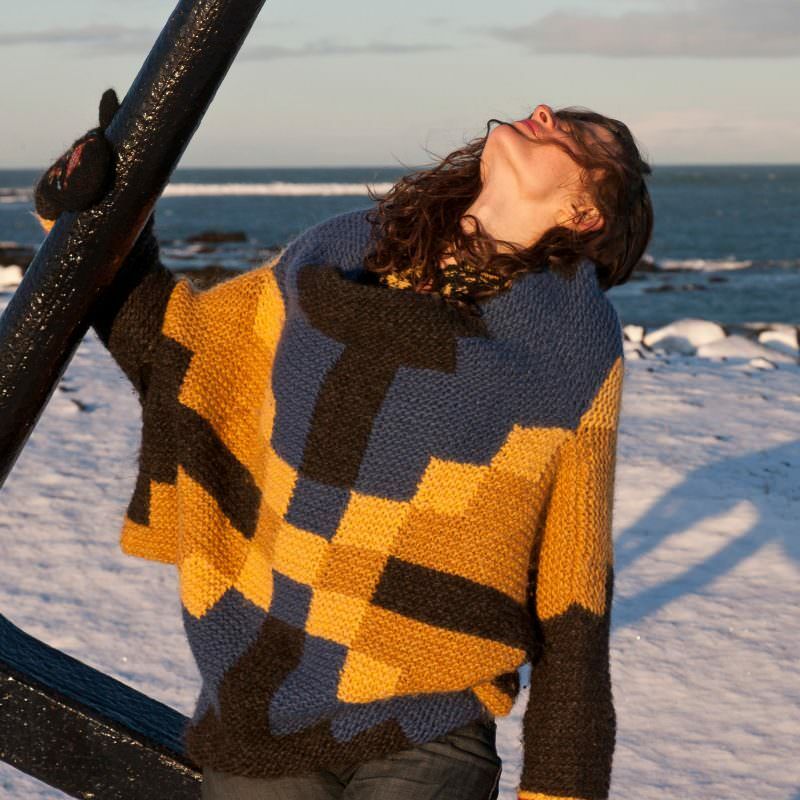 I have tried to remain true to the original colour schemes of the inserts from the Textile Museum in Blönduós. 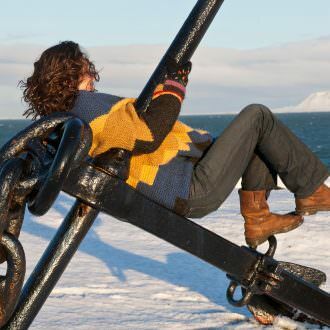 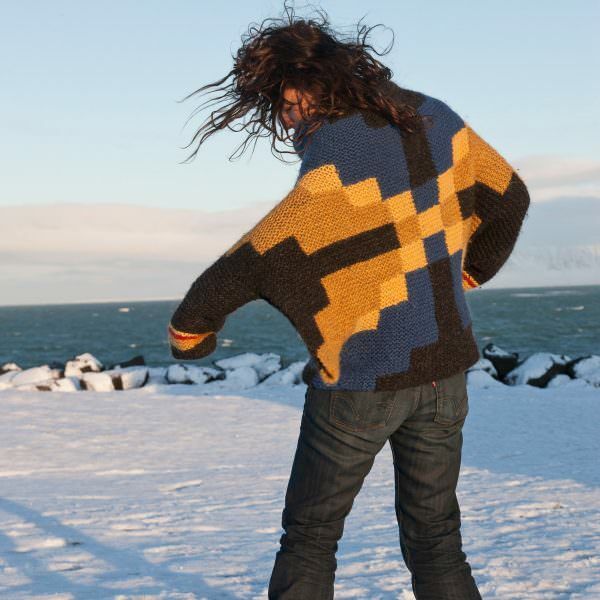 and the traditional methods used in making them: Icelandic intarsia, i.e. 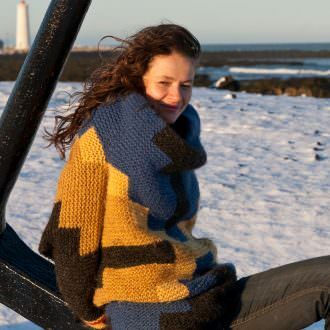 intarsia knitting with garter stitch, a technique unique to Iceland. 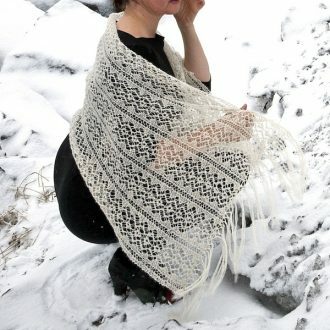 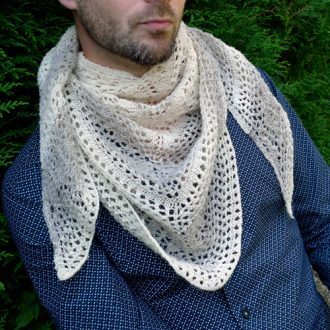 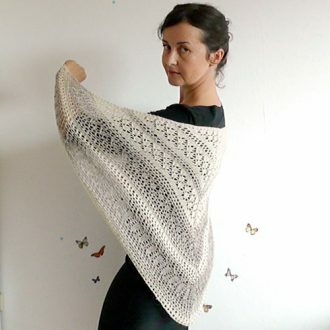 FOR THE MONTHS OF FEBRUARY AND MARCH 2019 proceeds from this pattern and 20% from the KIT go to The Supportive Skein (L’Écheveau solidaire) to raise money for medical research against Fibrous Dysplasia, a rare genetic disorder that causes pain, fractures and deformity in the bones and has no cure yet. 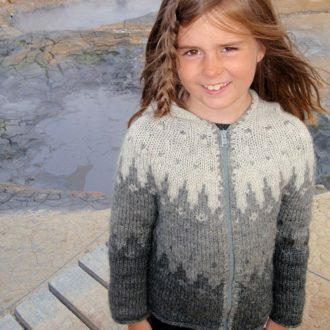 The organisation of the designers/dyers challenge was started by a French knitter and mother of a little girl with Fibrous Dysplasia. 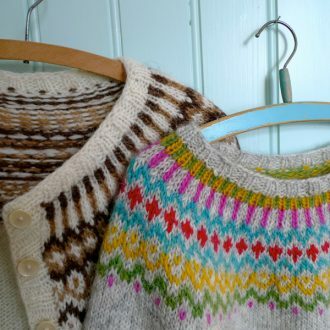 For a lighter sweater, you could use Plötulopi triple. 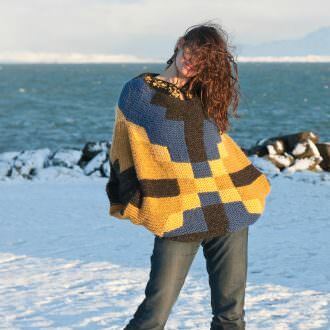 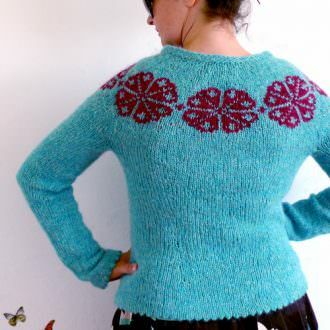 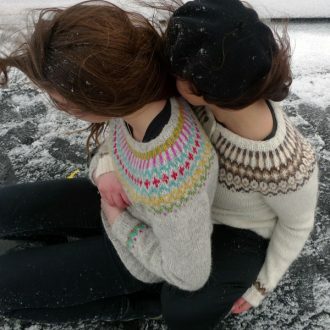 It knits at the same gauge than Alafoss lopi but may not be as practical for working intarsia. Pattern: Once you’ve made your paiement, you will receive an email with a link to download the pattern PDF. 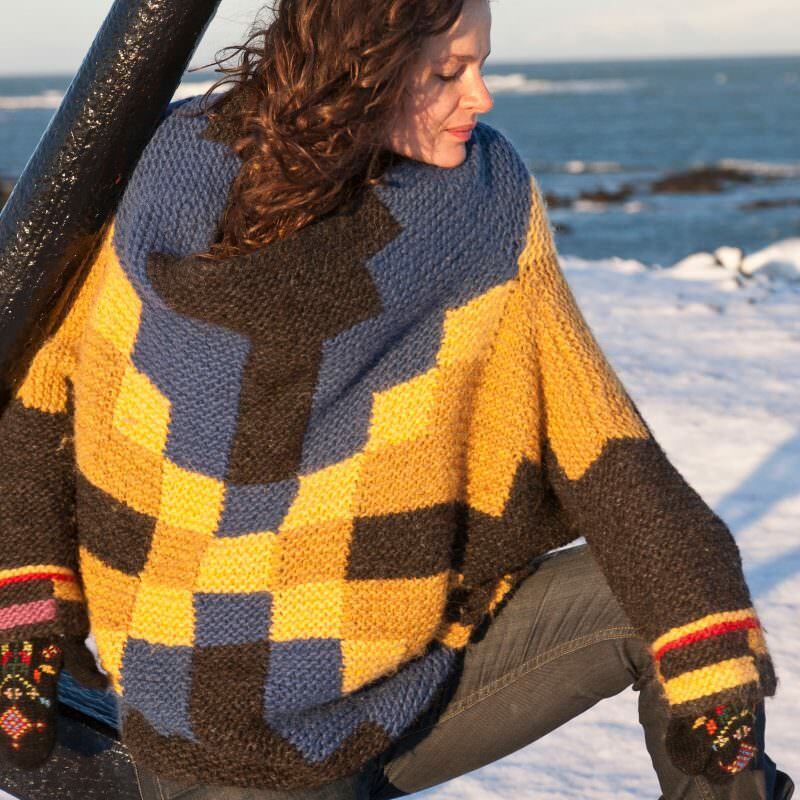 Your PDF will also always be accessible on your Icelandic Knitter account under Downloads. 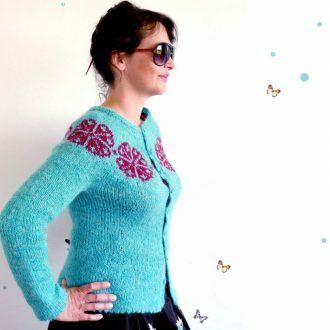 We don’t send patterns by snailmail.